Technological enhancements have improved the ability for your eye care providers to manage and detect eye diseases, aid in fitting difficult contact lenses, and keep accurate patient records. Our office keeps up to date on all the latest technological advances to ensure the best quality care for you. We offer state of the art digital retinal photography using the Canon CR-1 Mark II Digital Retinal Camera. 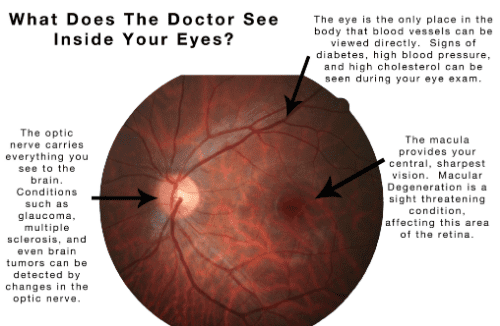 This gives us a more complete view of the back of your eye (the retina) than has previously been possible. Scans the back of the eye and assist in the diagnosis and management of retinal eye disease and conditions, such as glaucoma, macular degeneration and retinal lesions. It provides full color, 3-dimensional images and more detailed information than previously available. This information is invaluable in determining the treatment process. The OptoVue RTVue OCT (optical coherent technology) completes 26,000 A-scans per second, or 65 times faster than prior technology. This is like comparing an old-style black-and-white analog television to today's high-definition flat screen television. 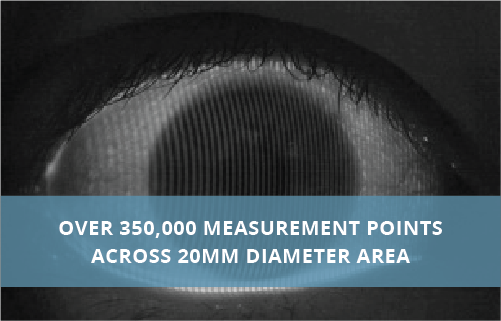 The faster speed provides an extremely high resolution for more accurate diagnosis of hidden eye conditions. This device provides color mapping of the optic nerve, retina and macula.This mapping establishes the presence and severity of a condition, such as glaucoma. The OptoVue RTVue OCT is not unlike a CAT scan, but without the dye injections, loud noises or a claustrophobic tunnel. This new instrument is an ultra-high speed, high-resolution scanner for retinal imaging and analysis that is revolutionizing retinal diagnosis. 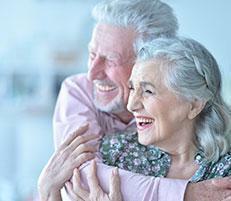 This non-invasive procedure takes about 15 minutes to complete and is covered by most insurance programs and Medicare. 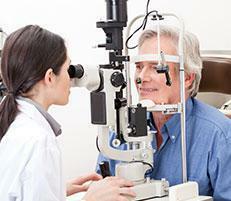 Peripheral vision testing is important to detect for problems associated with the eye, optic nerve and brain. The Humphrey Visual Field Analyzer is the standard in visual field instrumentation. 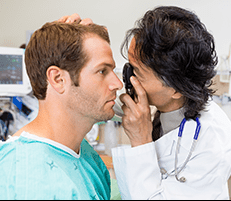 Your routine exam will include a visual field screening utilizing the Humphrey FDT Perimeter Visual Field. This new frequency doubling technology provides a very fast and clinically verified means of detecting early visual field loss. 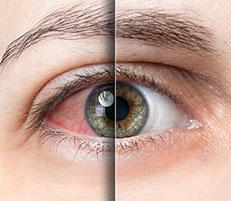 It is especially helpful in detecting glaucoma but may also detect other neurological disorders. 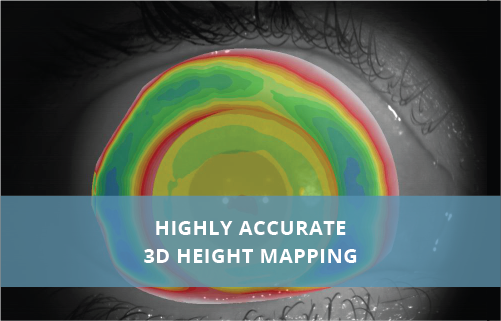 For more advanced visual fields we use the Humphrey-Zeiss HFA visual field analyzer. Our screening visual fields or other findings during the exam may dictate the need for advanced visual fields to more accurately diagnose problems with peripheral vision. 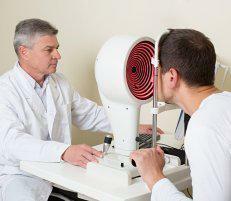 It is the accepted standard of care in glaucoma diagnosis and management. Validated by decades of research and clinical experience, the Humphry-Zeiss HFA is the "gold standard" for advanced visual field testing. Corneal topography is non-invasive medical imaging technique for mapping the curvature of the cornea, the outer structure at the front of the eye. 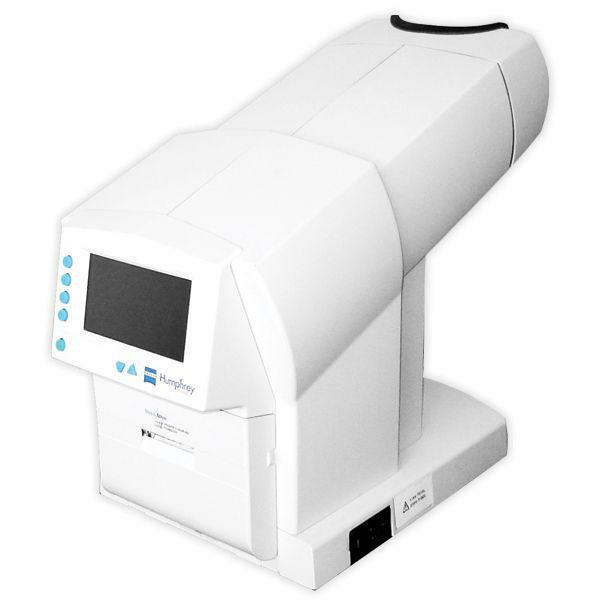 The Medmont E300 Corneal Topgrapher is a renowned market leader. 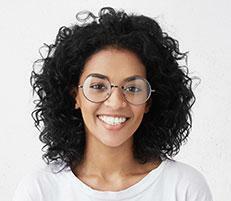 Since the cornea is normally responsible for some 70% of the eye's refractive power, its curvature is of critical importance in determining the quality of vision and can be used to assist in difficult contact lens fitting, refractive surgery, orthokeratology, keratoconus and scleral lenses. 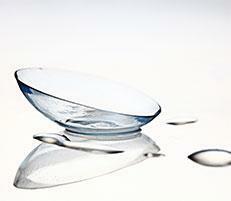 This device utilizes the most current contact lens fitting software to help design your contact lenses. 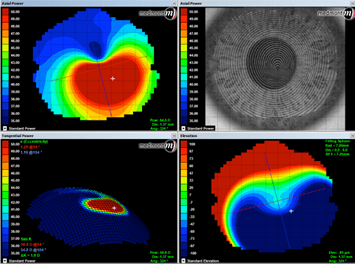 These are color maps that show the curvature and steepness or the topography of your cornea. This map in particular shows an irregular curvature. 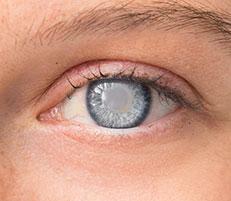 Digital imaging systems are used to view and capture high quality contrast images of your eye. Utilizing the newest Huvitz ReSeeVit HR Elite Digital Camera your doctors can properly manage and identify problems on the front surface of your eye. Some common conditions are viral infections, corneal foreign bodies, and corneal ulcers can be digitally documented in your records. 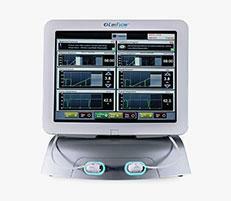 A modern device, which combines the most advanced refractive technologies and digital testing. 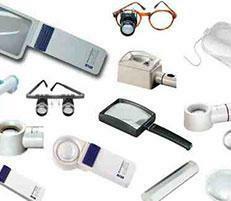 It is designed for accurately determining the optical error of your eye and your best corrected vision. 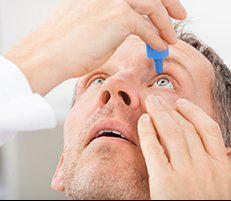 It can help determine and identify the degree of astigmatism and strabismus (eye muscle imbalance). Your prescription will be measured utilizing the modern Huvitz Digital HDR 7000 Refractor. 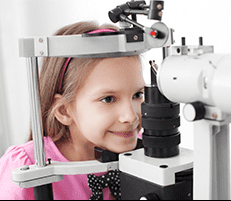 We have been using Electronic Medical Records since 2005, so that we may maintain complete and precise records for all of your eye care needs. Using the Electronic Record system and Digital Signature check in process allows us to be as environmentally friendly as possible. We attempt to only utilize emails and text messages to notify you when your purchased products have arrived or for your annual appointment reminders.